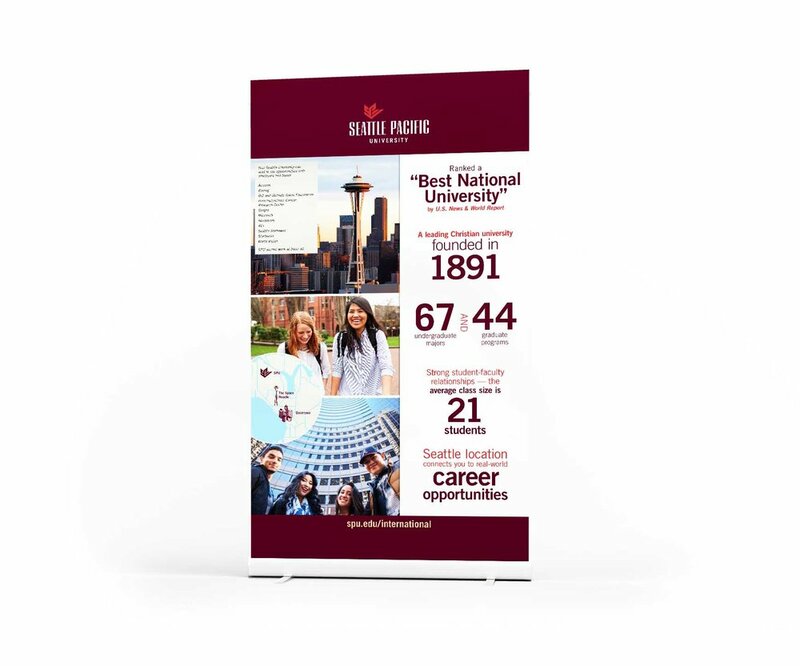 While contracting at Seattle Pacific University I got the opportunity to help them rollout a new brand. It was an exciting an nerve-wracking time because releasing a rebrand in a university setting is always challenging. I helped make some motion graphics to explain how the old logo influenced the new logo and that that we were not forgetting our roots. I also created materials to travel with our admissions team, such as flyers, banners, and snapchat filters.